Dr. Eric Lawitz is Vice President of Scientific and Research and founder of the Texas Liver Institute. Prior to joining Texas Liver Institute, Dr. Lawitz spent 11 years at Brooke Army Medical Center in the Department of Gastroenterology and Hepatology where he served in many teaching and academic positions. Dr. Lawitz has conducted extensive research in Hepatology, authored over 300 publications and presented his work at both national and international medical meetings. He is internationally recognized for his work in liver disease research and teaching. 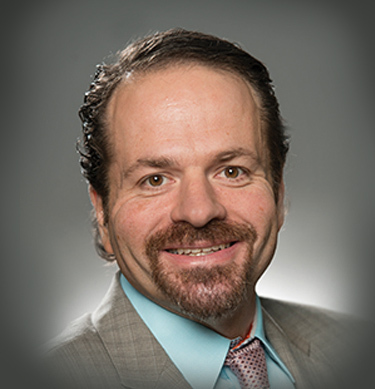 Dr Lawitz also serves as a Clinical Professor of Medicine at the University of Texas Health Science Center as a member of the hepatology faculty. He attends outpatient clinics. Dr. Fred Poordad is Vice President of Academic and Clinical Affairs and founder of the Texas Liver Institute. 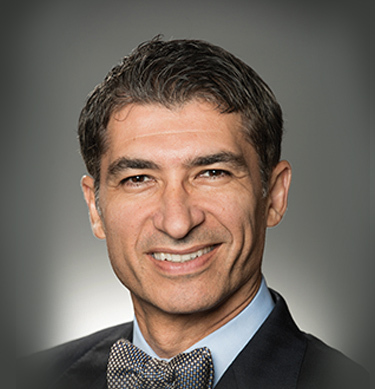 Dr. Poordad spent 11 years as the Chief of Hepatology at Cedars Sinai Medical Center prior to joining TLI in 2012. Dr. Poordad sits on many national committees for the AASLD and ACG, and has authored over 300 papers and book chapters. He is internationally recognized for his work in liver disease research and teaching. Dr Poordad also serves as a Clinical Professor of Medicine at the University of Texas Health Science Center at San Antonio and as Chief, Division of Hepatology in the Liver Transplant Center. Dr. Poordad attends both inpatient and outpatient services at UTHSCSA. 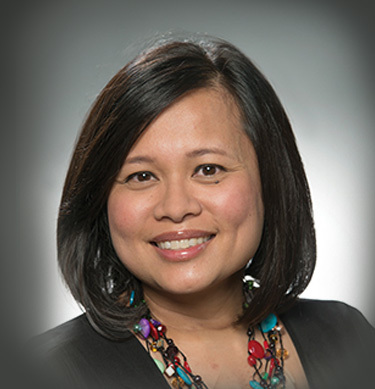 Dr. Nicole Loo is the Director of Hepatobiliary Cancer at the Texas Liver Institute. Prior to joining TLI, she trained at world renowned institutions for liver and liver transplantation including internal medicine residency at Mayo Clinic in Rochester, Minnesota followed by gastroenterology fellowship at Yale in New Haven, Connecticut and, finally, liver transplantation fellowship at Mayo Clinic in Rochester, Minnesota. Her research interests include hepatitis B, portal hypertension, and liver cancer. She also serves on the American Gastroenterology Association’s (AGA) Education & Training Committee and the Trainee Committee and has contributed as an author to the AGA’s DDSEP 8 study test question bank. In her free time, Dr. Loo enjoys trying new foods, traveling, art, tennis, and, above all, spending time with friends and family. Dr. Loo is excited to be living back in Texas and looks forward to getting to know and giving excellent liver care to the patients at Texas Liver Institute. 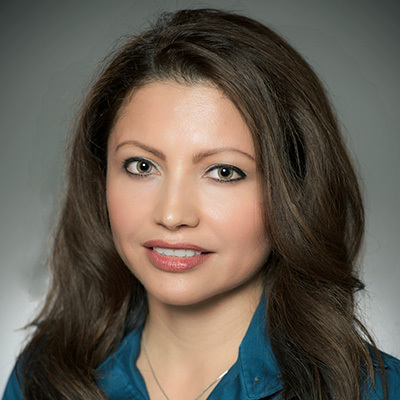 Dr. Carmen Landaverde is an Assistant Clinical Professor of Medicine at the Dell Medical School at the University of Texas at Austin. 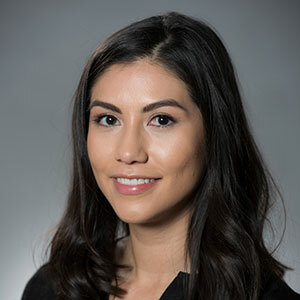 Prior to joining Texas Liver Institute, Dr. Landaverde completed her Gastroenterology and Hepatology Fellowship at the University of California at Los Angeles (UCLA) and her Transplant Hepatology Fellowship at Baylor University Medical Center at Dallas, Texas. Dr. Landaverde specializes in nonalcoholic fatty liver disease (NAFLD), end-stage liver disease and liver transplant medicine. She has authored and co-authored review articles on the management of fluid retention and cirrhosis, NAFLD and nutrition, outcomes in liver re-transplantation and in the optimization of hepatitis C treatment. Dr. Landaverde is fluent in Spanish. Dr. Jennifer Wells is an Assistant Clinical Professor of Medicine at the Dell Medical School at the University of Texas at Austin. She completed her gastroenterology fellowship as well as her transplant hepatology fellowship at the University of Wisconsin Hospital and Clinics in Madison, WI. She has served on the faculty of Baylor Medical Center’s transplant program for the last 5 years prior to moving to Austin. Dr. Wells has an expertise in viral hepatitis (B and C), metabolic liver disease (primarily NASH) and autoimmune liver diseases. Dr. Wells is recognized as an expert in treatment of advanced manifestations of cirrhosis, portal hypertension and hepatocellular carcinoma. Additionally she is highly regarded in managing pre and post-transplant patients. Dr. Wells has authored on topics related to alcoholic liver disease, hepatitis B and hepatitis C, NASH and liver transplantation. Dr. Naim Alkhouri is the Director of the Texas Metabolic Center at the Texas Liver Institute. He was most recently Assistant Professor of Medicine at the Cleveland Clinic Digestive Disease and Surgery Institute and Director of the Metabolic Liver Disease Clinic. Dr. Alkhouri completed his medical degree at the University of Damascus in Syria before completing his internal medicine and pediatric residency at Albert Einstein Medical Center in Philadelphia. 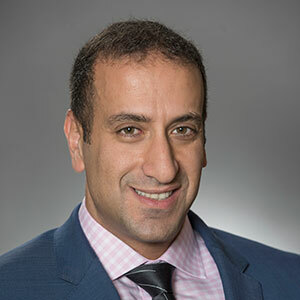 Dr. Alkhouri completed his pediatric gastroenterology, hepatology and nutrition fellowship at Cleveland Clinic and finally an adult transplant hepatology fellowship at the Digestive Disease and Surgery Institute, Cleveland Clinic. Among many research awards, Dr. Alkhouri received the American College of Gastroenterology Junior Faculty Development Award to study the analysis of breath volatile organic compounds to diagnose nonalcoholic fatty liver disease. 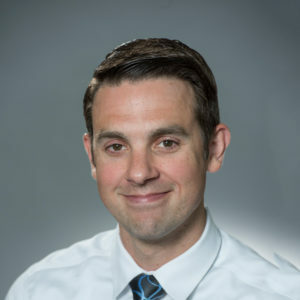 He also received the North American Society for Pediatric Gastroenterology, Hepatology and Nutrition Fellow Research Award for his prospective evaluation of the pediatric NAFLD fibrosis index and ELF markers in children with fatty liver disease. Dr. Alkhouri has over 100 publications and presents his work at both national and international medical conferences. His specialty interests include nonalcoholic fatty liver disease, viral hepatitis, autoimmune hepatitis, alpha 1 antitrypsin deficiency, and liver transplantation. Dr. Alkhouri is a member of several professional organizations, including the American Association for the Study of Liver Disease, the European Association for the Study of the Liver, American College of Gastroenterology, and North American Society for Pediatric Gastroenterology, Hepatology and Nutrition. 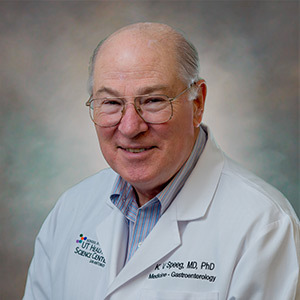 Dr. Speeg received his graduate degree from Rice University in Houston, Texas and his medical degree from the University of Texas Southwestern Medical School at Dallas, Texas. He completed his internship, residency and gastroenterology training at Vanderbilt University Hospital in Nashville, TN. He manages the pre-operative assessment of liver transplant candidates and post-operative phases including medical follow-up in the outpatient settings. 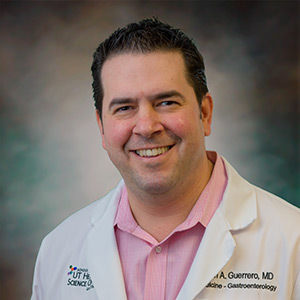 Dr. Guerrero received his medical degree from the Medical College of Wisconsin in Milwaukee in 1999. He is board certified in Internal Medicine and Gastroenterology. He is a member of the American College of Physicians and the American Medical Association. Dr. Guerrero is currently conducting several clinical trials to help improve the care of post-transplant patients. We are excited to welcome Dr. Fabian Rodas who recently joined the Texas Liver Institute as the Director of Transplant Services. In addition, Dr. Rodas will be an Assistant Clinical Professor of Medicine at UT Health San Antonio. Dr. Rodas received his medical degree from the University of Cuenca in Ecuador. After graduating, he became the director of a rural health center in Cuenca and was responsible for the medical care of patients locally and as well as the coordination of referrals to subspecialists. Dr. Rodas completed his internal medicine training through the Albert Einstein College of Medicine in Bronx, New York and his transplant hepatology training through the Carolinas Healthcare System in Charlotte, North Carolina. Dr. Rodas has a special interest in liver transplant outcomes as well as the study of portal hypertension and decompensated liver disease. While at the Carolinas Healthcare System, his research included studying the natural history of non-alcoholic steatohepatitis (NASH) and primary sclerosing cholangitis (PSC). 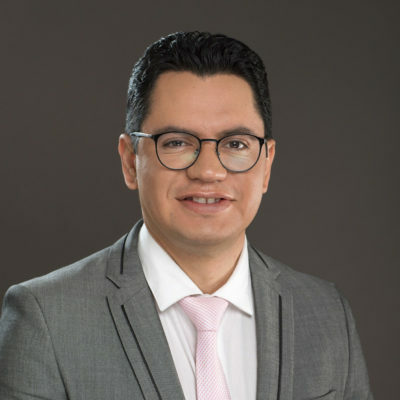 Dr. Rodas’ fluency in Spanish, international medical outreach experience and strong medical training are highly regarded and we are thrilled to have him as part of our medical team. Theresa joined TLI in 2010. 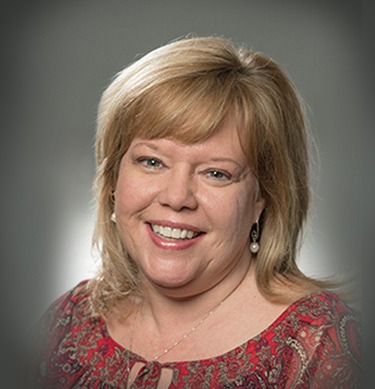 Prior to joining TLI, Theresa had extensive training in gastroenterology and hepatology while working for a total of six years at San Antonio Gastroenterology Associates and Brooke Army Medical Center. Theresa teaches and is involved in TLI educational initiatives to educate other health care providers and trainees. She is certified by the National Commission on Certification of Physician Assistants and licensed by the Texas Medical Board. Angie joined TLI in 2012, and has been working in hepatology in various positions since 1998. 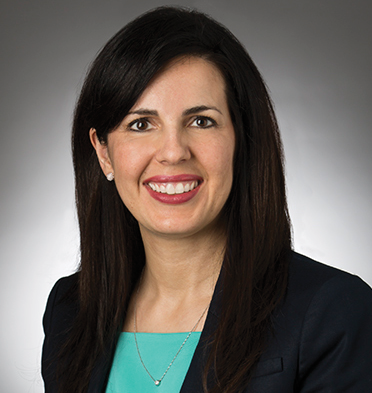 She is a Sub-Investigator and Clinical Research Director at Texas Liver Institute, and is in charge of ensuring the highest quality of care and performance from the staff conducting research studies. Angie has vast experience in clinical research and liver disease and enjoys mentoring others in these areas. She is involved in TLI educational initiatives to educate other health care providers and trainees. Rossalynn joined TLI in August 2014 and is currently completing a clinical fellowship for physician assistants. She is a graduate from the UTHSCSA PA Studies Program and is certified by the National Commission on Certification of Physician Assistants. Prior to becoming a physician assistant, she worked as a medical assistant in cardiology for over 3 years. 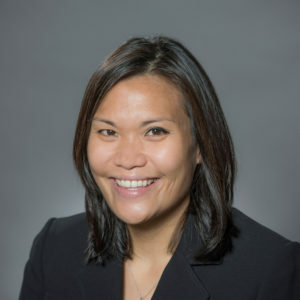 Emma Pham, PA-C, is a certified physician assistant and the Program and Physician Services Manager at the Texas Liver Institute in San Antonio, Texas. In 2009, Emma received a Bachelors of Science in Biomedical Science from Texas A&M University in followed by a Bachelors in Nursing from the UT Health San Antonio in 2011. She remained in San Antonio as an adult and pediatric critical care nurse at University Health Systems. In addition to her nursing duties, Emma was responsible for mentoring nursing students and training newly hired nurses. Emma continued her medical training and in 2015 received a Masters of Physician Assistant Studies from UT Health San Antonio. She is certified by the National Commission on Certification of Physician Assistants and licensed by the Texas Medical Board. Since May 2015 she has been caring for patients at the Texas Liver Institute. 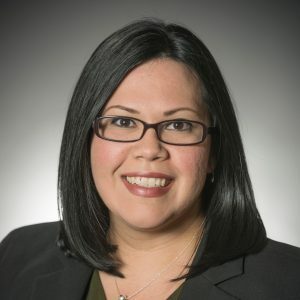 She also serves as the Program and Physician Services Manager and works in partnership with UT Health San Antonio and University Transplant Services in program building. Emma is a member of the American Academy of Physician Assistants (AAPA). She enjoys teaching and has served as faculty at multiple conferences. Emma is fluent in English and Vietnamese. 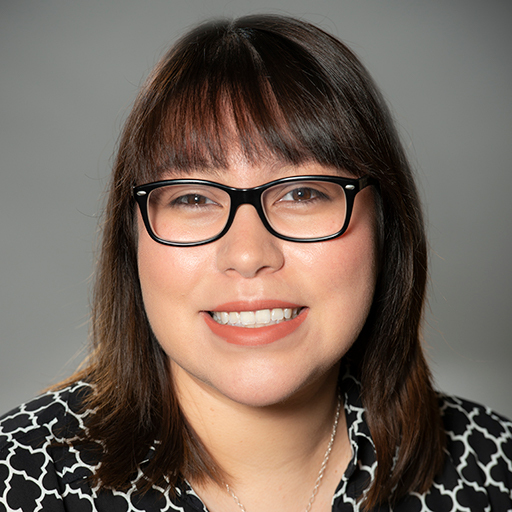 Christy Rosas joined TLI in 2015. She works in the hepatology clinic and as a Sub-Investigator in the clinical research department. Christy is certified by the National Commission on Certification of Physician Assistants and licensed by the Texas Medical Board. Christy attained a Bachelors Degree in Clinical Laboratory Sciences as well as her Master of Physician Assistant Studies from the University of Texas Health Science Center in San Antonio. She is an active member of the American Academy of Physician Assistants (AAPA). She is bilingual, fluent in both in English and Spanish. Julissa joined TLI in 2015 as a Physician Assistant. 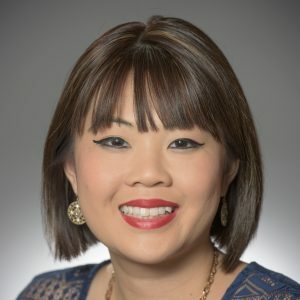 She has been caring for patients in the San Antonio area since 2011 after she graduated from University of Texas Health Science Center receiving a Masters of Physician Assistant Studies. Julissa uses her previous experience working in Family Medicine to provide her patients at TLI a full spectrum of care. Julissa is fluent in Spanish and says her favorite part of her job is assisting patients in reaching their health goals. Amanda joined TLI in 2017 as a Physician Assistant. In 2009, Amanda received a Bachelors of Science in Nuclear Medicine from the University of the Incarnate Word in San Antonio. 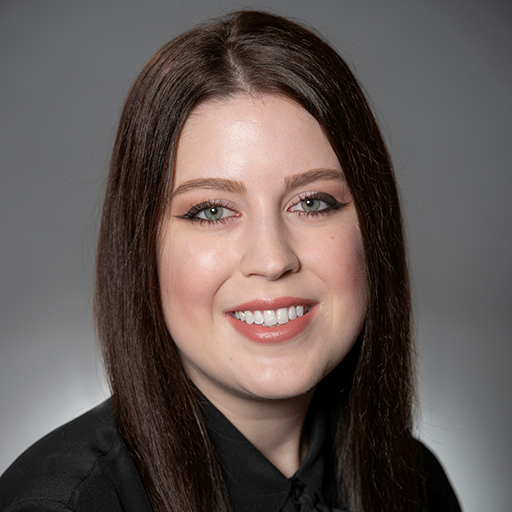 After graduation, Amanda worked as a Nuclear Medicine Technologist at St. David’s South Austin Medical Center for 3 years where she honed in on her patient care skills. In 2013, she attended the University of North Texas Health Science Center, where she received a Masters of Science in Physician Assistant Studies. Prior to joining TLI, Amanda worked in Family Medicine where was able to manage acute and chronic disease in patients of all ages. Amanda looks forward to providing quality care to her patients here at TLI. She sees both pediatric and adult patients. Amanda is bilingual, fluent in both English and Spanish. Anthony brings a wide variety of experience and expertise to the Texas Liver as a Physician Assistant. Anthony trained and performed duties as an Army Health Care Specialist (“Combat Medic”) for a number of years before becoming the Primary Care Manager for 550 United States Army Soldiers at Fort Riley, Kansas. He then gained experience in the field of gastroenterology at a private practice in Hawaii and also worked in a primary care office. Anthony says his goal is to provide inspired, positive and clinically appropriate medical services to the patients at the Texas Liver Institute. Amber joined TLI in 2018. She works inpatient services in Transplant Hepatology and is credentialed with UT Health San Antonio and University Hospital. In 2011, Amber received a B.S. in Biology from the University of the Incarnate Word, where she continued her studies and received a M.A. in Biology. From 2013-2015, she served as Adjunct Faculty for the Biology Department at Incarnate Word. 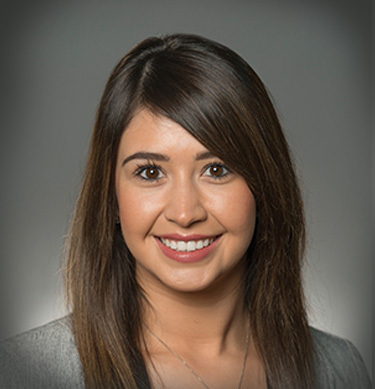 Amber is also a graduate of UT Health San Antonio and received a Masters of Physician Assistant Studies in 2017. She is certified by the National Commission on Certification of Physician Assistants and licensed by the Texas Medical Board. 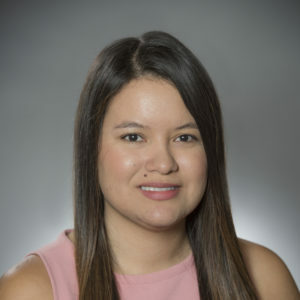 Genevieve Talamantez-Worden joined TLI in 2018 as a Nurse Practitioner. She is a member of the Texas Nurse Practitioners and the American Association of Nurse Practitioners. In 2010, Genevieve received a Bachelors of Science in Nursing from the University of the Incarnate Word in San Antonio, Texas. After graduation, she worked as a registered nurse in both the adult intensive care unit and the emergency center. In 2017, she earned her Doctorate in Nursing from the University of the Incarnate Word. At TLI, she is head of the Liver Transplant PREP program. This program helps liver transplant candidates prepare for liver transplant listing. Genevieve’s previous experience working with critically ill patients allows her to provide high quality patient centered care. 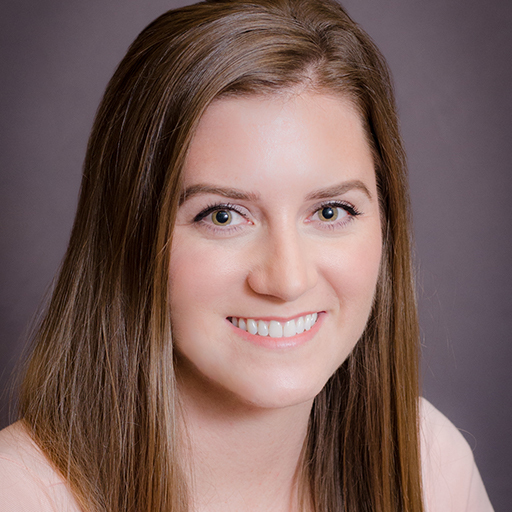 Meredith Cook joined the Austin-area TLI clinic as a Physician Assistant in 2017. She received her Bachelors of Science in Allied Health at Texas A&M and went on to obtain her Master’s in Physician Assistant Studies at UTMB in Galveston. She is certified by the National Commission on Certification of Physician Assistants and licensed by the Texas Medical Board. 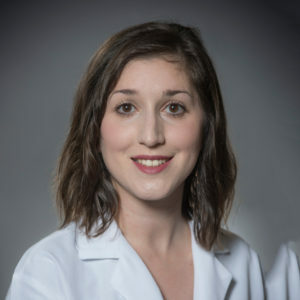 She has worked in health care for over two years with experience primarily in women’s health, however she has found her passion in providing detail-oriented care within the field of hepatology. Meredith has a special interest in working patients with fatty liver disease and cirrhosis of the liver. Lauren Williams has been in the healthcare field since 2007. Along her journey, she has worked as pharmacy technician, registered nurse, and is currently a certified nurse practitioner. She entered the field of medicine after helping care for her grandparents, as she realized her purpose and passion in life was to continue to care for others. Her previous experience as nurse practitioner in the fields of Geriatrics, Neurology, and Palliative Care/Hospice have given her a strong foundation of skills and knowledge. Lauren is a licensed advanced practice nurse with the state of Texas, and is a member of the American Academy of Nurse Practitioners. She aims to bring a holistic care approach to her patients at the Texas Liver Institute. Lauren is fascinated by the fatty liver disease (NASH) epidemic and encouraged with the care she can provide these patients.